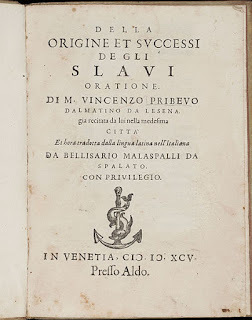 Vinko Pribojević (Vincentius Priboevius; Vincenzo Pribevo) was a 16th century Slavic monk and pseudo-historian. He is often credited as the first ideologue of pan-slavism and a precursor of the Illyrian movement, although these movements did not officially emerge until the 19th century. 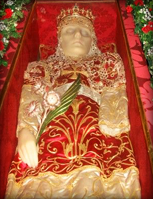 He was born on the Dalmatian island of Lesina, in the Republic of Venice, in the 15th century. 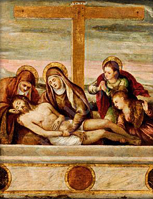 His existence is documented for the first time in 1511 in the Dominican convent of Santa Maria Novella in Florence, where he lived and studied as a monk. His name was recorded as Vincentius Dalmata (the name Vinko Pribojević is a recent slavicization of his Latin name). In 1525 he traveled to Venice where he delivered a speech known as De origine successibusque Slavorum (On the Origin and Glory of the Slavs). In this speech he made many outrageous claims regarding the Slavs—none of which have any support in the academic world today, but are supported only by a fringe of radical Slavic extremists and ultra-nationalist revisionists. 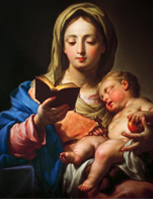 He later entered a Dominican convent in Ancona, Italy. He died sometime after 1555. Pribojević was a minor and relatively unimportant figure for many centuries, and likely would have remained forgotten and unknown today if his works and ideas had not been revived by Slavic nationalists in the 19th century, and embraced especially by the Yugoslavs in the 20th century. Among his claims were that the ancient Macedonians, Mysians, Illyrians, Thracians, Dacians, Dardanians, Vandals, Goths, Gepids, Sarmatians, Dalmatians and Istrians were all Slavs. He further claimed that men such as Alexander the Great, Aristotle, Diocletian and St. Jerome were all Slavs. These claims stand on their own as so ridiculous that they require no rebuttal. In addition to these claims, he also attempted to argue that the lands of northeastern Italy are culturally and linguistically separated from the rest of Italy, and in fact belong to Slavdom, claiming that “those who live beyond Istria, as do the inhabitants of Trieste and Gorizia, converse only in the Slavic tongue.” These assertions were astonishingly false. The city of Trieste had been a Latin-speaking city since its foundation more than a century before Christ, was a Romance-speaking city in the 15th and 16th centuries (the same in which Pribojević lived), and is still Romance-speaking today. The local dialect spoken in Trieste until the 19th century was Tergestino, a Ladin dialect related to Friulian. This dialect went extinct in the 19th century and was replaced with Triestino, a Venetian-Italian dialect. Today the predominant language is standard Italian. 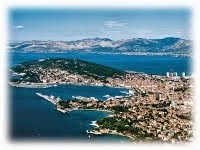 The language of Trieste was never Slavic at any point in history. 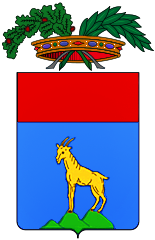 The Gorizian dialect, called Goriziano, is a Venetian-Italian dialect, and was established in Gorizia in the early 1500's. It was spoken both in the city of Gorizia and in the surrounding Gorizian hinterland during Pribojević's own lifetime. Prior to the development of Goriziano, Friulian dialects (derived from vulgar Latin) were spread over almost the entire Gorizia region, and were spoken also in the city of Gorizia. Also spoken in the region of Gorizia, in an area known as Bisiacaria, was a local dialect known as Bisiacco, an autochthonous variant of Venetian-Italian. Spoken in Grado was another autochthonous Venetian-Italian dialect called Gradese. 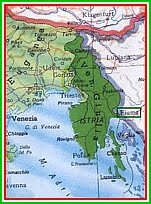 The native languages of Gorizia, therefore, had always been Latin-derived Romance dialects, namely Friulian and Venetian-Italian. 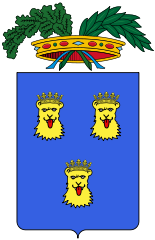 The Slavic tongue is not native to Gorizia, but was first introduced into certain parts of the Gorizian countryside by a minority of Slavic immigrants who only arrived during the Middle Ages. The main centres of the region (Gorizia, Gradisca, Grado, Monfalcone, Aquileia, etc.) always maintained a majority Italian population, even into the Austro-Hungarian period, and still remain Italian today. 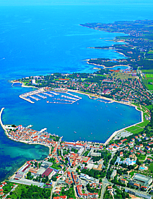 Pribojević then claimed that Istria is “by its location, by its customs and by its language separated from Italy.” Those acquainted with Istria and its history will immediately recognize the falseness of these assertions. The Istrian peninsula, besides being clearly geographically linked to Italy, formed an intricate part of Italy for over a millennium. Furthermore, the native language of Istria, called Istrioto, is a Romance language descended from Latin and closely-related to Italian (even regarded by some linguists as an Italian dialect). 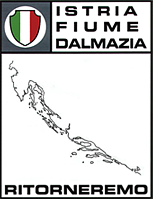 This language was famously spoken in all the Istrian cities for centuries, before being gradually replaced with standard Italian. All the cities of Istria continued to be Italian-speaking well into the 20th century. Yet Pribojević pretended that Istria, together with Trieste and Gorizia, somehow belonged to the Slavic world. In 1532 Pribojević published a falsified document entitled Privilegium Alexandri Magni donatum Populis Slauis (The Donation of Alexander the Great to the Slavs) as an appendix to his 1525 speech in Venice. This fictional document, purported to have been written in the 4th century BC by the court of Alexander the Great, bestows vast amounts of land to the Slavs as a reward for supposedly being “allies” of Alexander during his military campaigns. Pribojević claimed that the document had been discovered in Constantinople and translated from Ancient Greek. However, this story was a fabricated lie. In reality the text originated in 13th century Poland and resurfaced in 14th century Bohemia. Evidently it later caught the attention of Pribojević, who decided to translate and publish the hoax document in Latin as “evidence” of Slavs having a prominent role in classical antiquity and an ancient right to occupy vast swaths of territory in Europe. 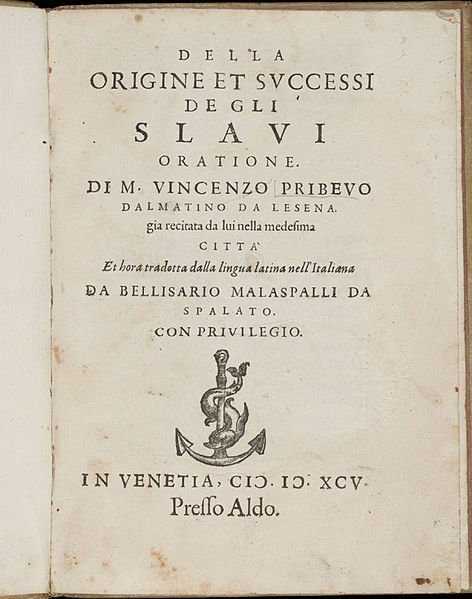 The fraudulent text is preserved in the 1532 edition of Pribojević's De origine successibusque Slavorum, held in the Metropolitan Library of the Archdiocese of Zagreb. Vinko Pribojević and his absurd claims would be entirely insignificant to us today, except for the fact that it can be used to demonstrate a point. It demonstrates how far certain Slavic revisionists will go in their attempt to rewrite history; the length they will go to forge myths, lie to themselves and deceive others, in order to steal other peoples history, appropriate a foreign culture and usurp a heritage which does not belong to them, merely to justify their past misdeeds or to gratify their ultra-nationalistic pride. Although many of his claims are rejected even by most Slavs today, nevertheless Pribojević's same spirit of myth, deception and pseudo-historical revisionism continues to live on amongst certain radicals of the ex-Yugoslavia, particularly in modern Slovenia and Croatia.